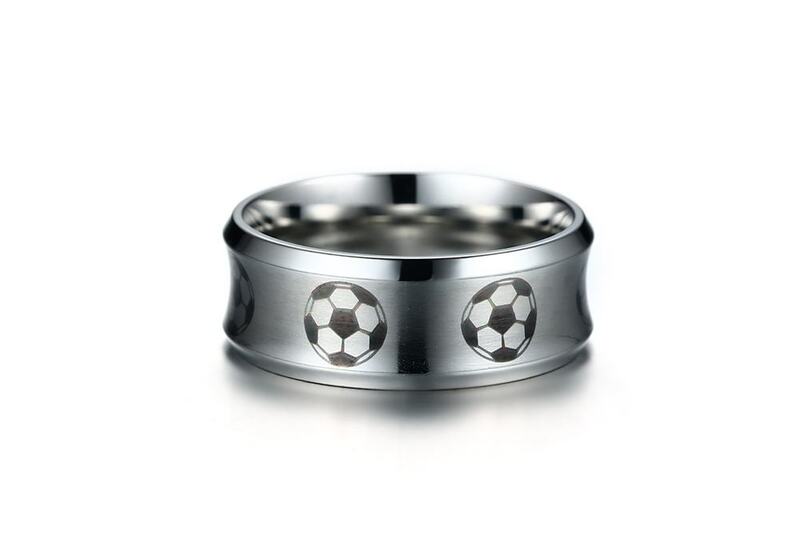 In LOVE with this enchanting Stainless Steel Soccer Ring! 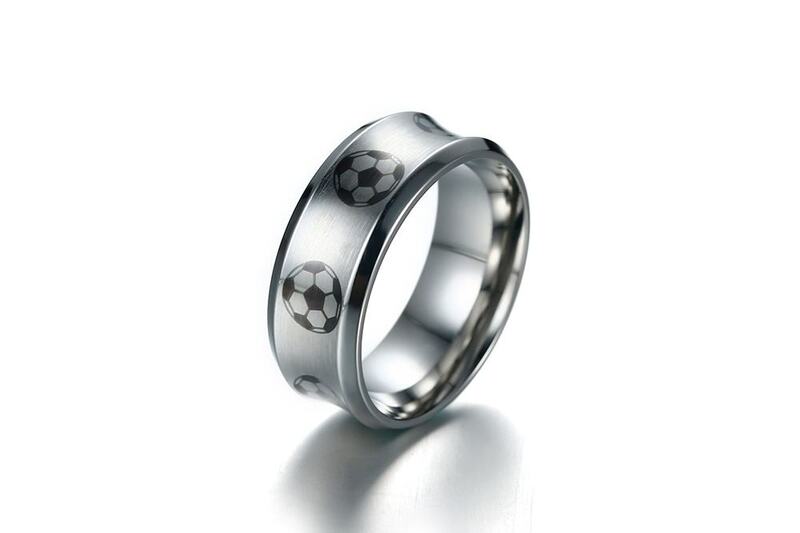 Show off your love of the game with this stainless steel soccer ring featuring soccer balls rounded the band of ring. This is a great gift idea as it is both practical and personal! It is a perfect way to award coaches and players, especially yourself for done a good job with game! 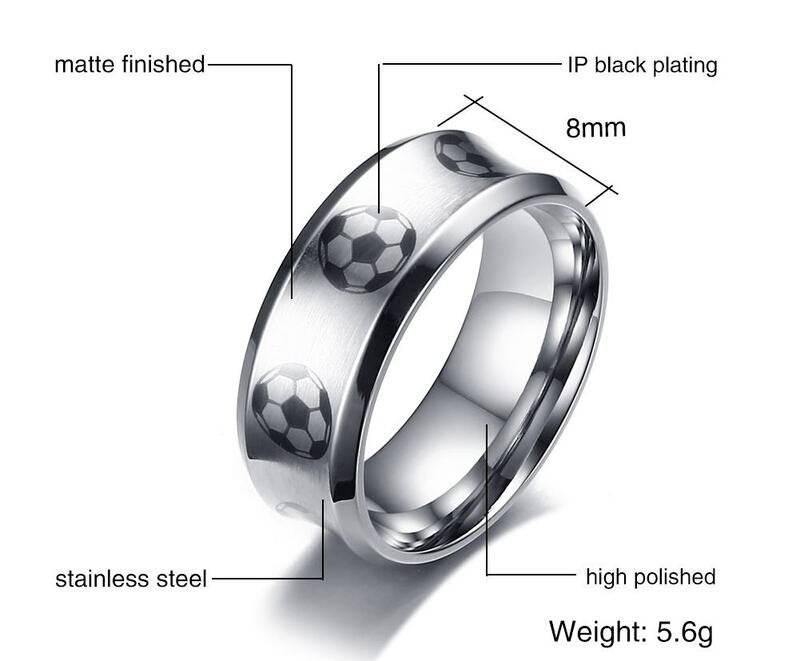 Order your Stainless Steel Soccer Ring now! 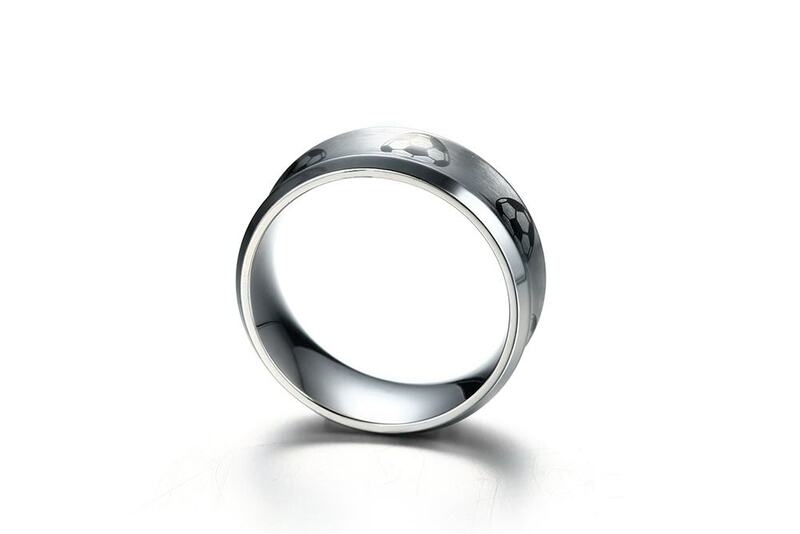 This amazing Stainless Steel Soccer Ring is originally sold for $19.95 in our store, but today.....Get it for$14.95! 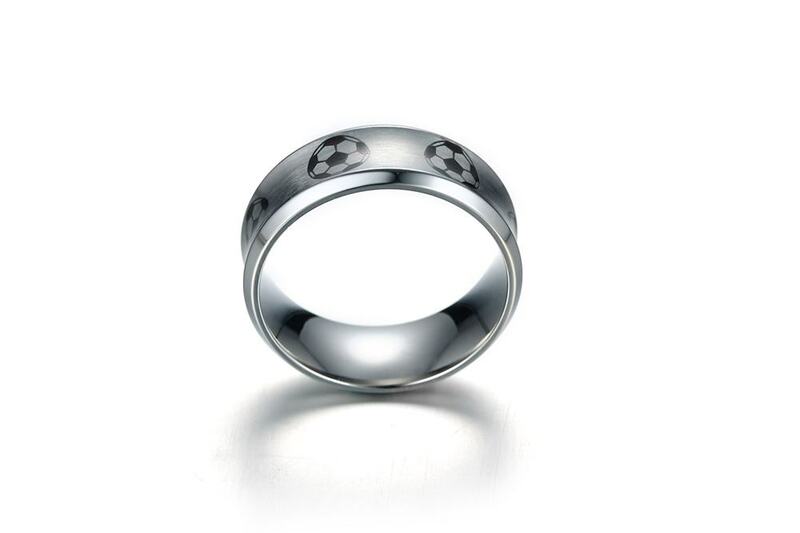 Click "Add To Cart" button and we will get to work ASAP to make sure you get your brand new Stainless Steel Soccer Ring ASAP!